Launch day is upon us, securing Leeloo, and the first leg! We’ve been planning, discussing, learning, and otherwise practically obsessed with this new chapter in the journey of life. The reality is starting to sink in, and it’s not all rainbows and unicorns. The truth of the matter is that as the time nears, the more we realize how much more there is left to do, to finish, before we can depart. The time remaining has led to a little more stress in the house. We’ve been discussing scenarios for something as simple sounding as acquiring Leeloo. The financial side isn’t the problem, although we are being mindful of the costs associated and want to make wise choices, but the strategy for the trip to acquire her was one of major debate! Heather and Michael fly up solo, drive Leeloo back, start the journey from Dallas. Zizi stays at home with the dogs. She’s 13, and we know every neighbor on the block by name/schedule. Many of them work from home, and she’d be at home with two hyper alert dogs. Same as the first, but we have someone stay with Zizi and the dogs. Zizi comes with us to pick up Leeloo, and we kennel the dogs for a week. Zizi, and the dogs come with! But if we choose this scenario, then we can’t fly, and we have to drive. Ultimately, the last was the winning scenario. As I type this it seems the most logical, but we arrived there with lots of debate and tension. It was weird, tension isn’t normal. This house has very little in the way of stressors (Yes, I do fully understand that this can, and will likely change in the next few weeks). In this particular scenario, the stress was the result of having to actually decide which option to choose. It was no longer this nebulous thing we had to decide at some point. It’s now urgent, and all of the scenarios come with some form of baggage/expense/pain. As we get closer to launch day, certain things begin to come into focus. For example, there’s the “training period” that we’ll be in for the first few days. We’re doing it a camp ground/RV park so we have the experience in working with the various tanks in the rig. And of course we’ll have full power as the solar system isn’t yet installed. On the way back, we’ll spend one evening at a Cracker Barrel, and another at a state park in Oklahoma. Remember, we won’t have most of our stuff yet – this is the trip to get the rig. It’ll be a sample of what’s to come, and we’re really looking forward to it. But again, it’s no longer simply some range of dates and places on a spreadsheet. We’ll be out there very, very soon. Every now and then we get bogged down in the “how” and forget to focus on “why” we’re embarking on an Epic Mini Life. From reducing the weight of possessions and consumerism to the freedom of owning our schedules to simply choosing to live differently than most anyone we know – there are many, many reasons. But as I was planning the final approach to Disney World (our first major destination), I came across this lovely reminder. It’s a simple thing, but I can’t explain how much of a relief it was when the reality hit me that we’ll be staying at St George Island State Park for a night. I see posts on Facebook and other social media by friends and acquaintances that have taken a vacation to here or there. It’s usually a fantastic view of a beach or mountains… maybe a meal and a pool. While I don’t expect every night to be as amazing as those photos, I know that for our family, those scenarios will be more the norm than not. We’re not going on a 5 day vacation to a place… we’re going “on vacation” until we’re not. We hope you’ll follow along on the journey, and that it may inspire you to think deeply about your day to day life. We’ll be posting more than photos of the places we’ll be. We’ll be providing tips on preparing home made frugal meals ($2.50 or less per serving), details about living debt free, much more. I’ll continue to build inboundgeo, I’ll be diving deeply into Virtual Reality development, Heather will continue to build her Disney travel planning business, Zizi will be learning about the world around us by living it – and we’ll share the things we learn along those paths as well. Thank you for being here! Please ask questions (don’t be shy) and don’t forget to hit the like button on Facebook and follow along on Instagram. 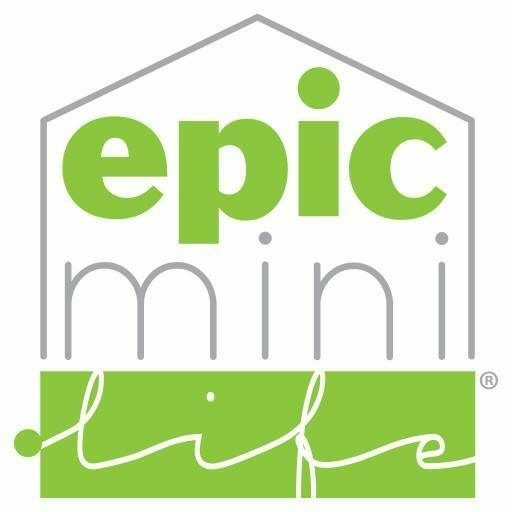 Epic Mini Life, relationships, revenue, and more.